1. A speedy cutter streaks down the field, effortlessly outpacing their defender for a score. 2. 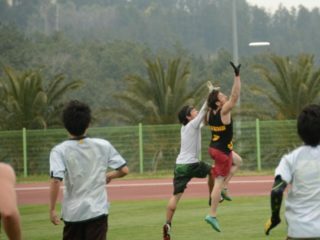 A tall handler goes upline and comfortably grabs the disc above their defender. 3. A man and a woman go up for a disc, the guy easily skying the girl. He is taller, stronger, and has better ups. All of these are examples of “competitive advantage,” but only one leads us to have separate divisions for men and women, and gender matchups in mixed. While fairly straightforward in some respects, the issue of competitive advantage, particularly concerning men versus women, becomes complicated when considering transgender individuals who are coming out on an ever-increasing basis. I am one of those individuals. My name is Jenna Weiner, and I am a transgender woman currently playing with the University of Nevada, Reno’s women’s team as a graduate student. I previously played with UC Berkeley’s men’s B team as Jon Weiner, but have since begun and undergone my transition in the last nine months. 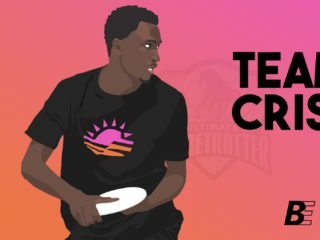 As one of the likely few transgender women in ultimate, I felt it worthwhile to address issues that I’ve seen and experienced, as well as the policies that guide transgender people in ultimate. Sports were once solely under the purview of straight, cisgender people. Members of the LGBTQ+ community were few and far between and even among those, most were closeted. But with increased openness and acceptance, more and more LGBTQ+ folk are participating openly in sports, bringing new challenges with them to sports policy. Ultimate has started wrestling with these questions, with Skyd articles by Corey Alexander and Tony Leonardo as two examples of this. Among these questions is how to best be inclusive of transgender people while still being sensitive to issues of competitive advantage, particularly when it comes to trans women. 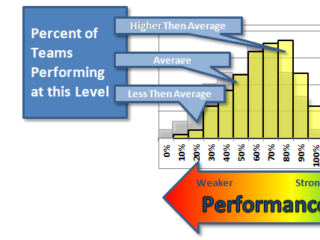 What am I talking about when I say “competitive advantage?” Competitive advantage is any edge that one competitor has on another, with a particular emphasis on advantages that are differentiating between athletes. These competitive advantages include differences in speed and height as well as differences in gender. Due to testosterone, men are generally stronger and faster than their women counterparts, giving them a distinct competitive advantage against women. This is one of the key reasons why sports are most often split between men’s and women’s, as the physical advantages men have tend to make direct competition unfair. So what happens when someone is born a man, but identifies as a woman (trans woman), or is born a woman but identifies as a man (trans man)? What competitive advantages or disadvantages do they have and how can sports associations be inclusive while still being fair? University of Nevada, Reno’s women’s team, Black Ice. To this end, many sports associations have regulations and policies delineating eligibility requirements and their plans to best include transgender people. 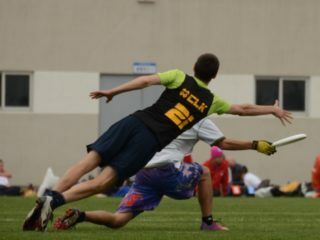 The NCAA has a policy, as does the IOC, and the WFDF (World Flying Disc Federation) and USAU both have their own policies. These policies are intended to be inclusive of trans athletes while still being fair concerning competitive advantage, which is particularly an issue for transgender women. Trans women who have gone through puberty, due to being born male, have the competitive advantage of testosterone and the increased speed and muscle mass that comes with that. However, when we undergo hormone replacement therapy (HRT), this advantage diminishes to nothing over time. My HRT regimen consists of 4 pills a day; two are spironolactone, a testosterone blocker that reduces my testosterone levels to around those of cisgender women, and two are estradiol, which is a form of estrogen to replace the testosterone and feminize my body. Among changes I’ve experienced in the approximately 9 months I’ve been on HRT include losses of speed, stamina, and acceleration, making playing with men’s team and matching up against men untenable. These changes have reduced my competitive advantage against women and I expect that these changes will continue as I continue HRT. Organizational policies are centered on these changes and the time it takes for HRT to have enough of an effect to be fair in regards to competitive advantage. The current understanding is that a year of HRT is enough time for this to be the case, so both the NCAA and USAU allow for trans women to be fully eligible after one full year of testosterone blocker treatment. The IOC and the WFDF have stricter policies that are designed for elite, international competition and not everyday local participation. Do Those Policies Get It Right? For myself, a year will be more than enough time for HRT to near eliminate any competitive advantage that I may have had being born male. For others though, it may not be. HRT affects different people differently and this diversity must be accounted for in policies. Flexible policies are a necessity with this complicated and ultimately very personal issue. But one big question that arises when considering these policies is why we legislate trans women’s participation in sports in particular, and why we legislate it so narrowly. As I hoped to present earlier, clear competitive advantages exist between cisgender athletes and there will always be players who are far and away better than their competitors. Yet with cisgender individuals, there is no regulation, there is no testing, just simply an understanding that some athletes are better than others. Why shouldn’t that same idea apply to trans people, particularly trans women? I will grant, as mentioned previously, that men do generally have competitive advantages from their increased testosterone levels and the accompanying speed and muscle mass that comes with that. However, that problem doesn’t go away as soon as a trans woman hits a year on HRT, nor does it directly correlate with testosterone levels as designated by the IOC and WFDF. There must be better ways that we can test for competitive advantage that allows for clarity and flexibility for trans athletes, as well as fairness for themselves and their cisgender competitors. One possibility could be a required physical by a physician that gives a determination of whether someone is cleared to be fair to compete, although this of course comes with its own set of issues. Another complication is any potential challenges to a trans person’s participation, as there needs to be some way to respond to complaints about unfair competitive advantage. Simply having a year deadline may be good enough in some cases but in others it may be lacking. These issues are complex and not easily answered, but they are necessary to consider and address for the sake of trans athletes’ participation in sports and fairness to them and their competitors. Looking forward, these questions need to be examined by the ultimate community. The WFDF recently updated their transgender policies and USAU is in the process of updating theirs, and these issues should be kept in mind when deciding how to best legislate transgender policy. The best policy will ensure competitive fairness while not making it near impossible for trans people to participate in ultimate at every level. While I have discussed many different questions and issues in this article, I am just one trans woman in a small segment of the ultimate community. There are other trans people in ultimate who have their own experiences and thoughts and there will only continue to be more in the months and years going forward. Ultimate and sports more generally need to have honest dialogues about the place trans people have, and how to best make flexible policies that are both fair and inclusive. 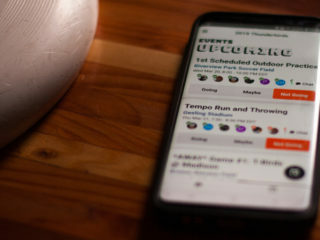 These conversations are not easy or simple, but are necessary for the good of the sport, and I for one am confident in ultimate’s ability to have them and create open, inclusive, and fair policies for all. Have any questions or opinions about anything I talked about? Feel free to leave comments below to continue this discussion and contribute to the growing discourse around transgender people in ultimate.